In a highly competitive industry, vehicle dealerships are constantly re-inventing their environments to attract and retain clients by offering an unsurpassed buyer experience. Jaguar Canada recently released their latest dealership design standards and our friends at Jaguar Land Rover Calgary were the first to implement these standards in the construction of their new location.The space features a crisp, white interior creating a blank canvas to showcase the vehicles. Wood veneer accents and sparkling glass enclosures introduce a fresh and luxurious element to the space. 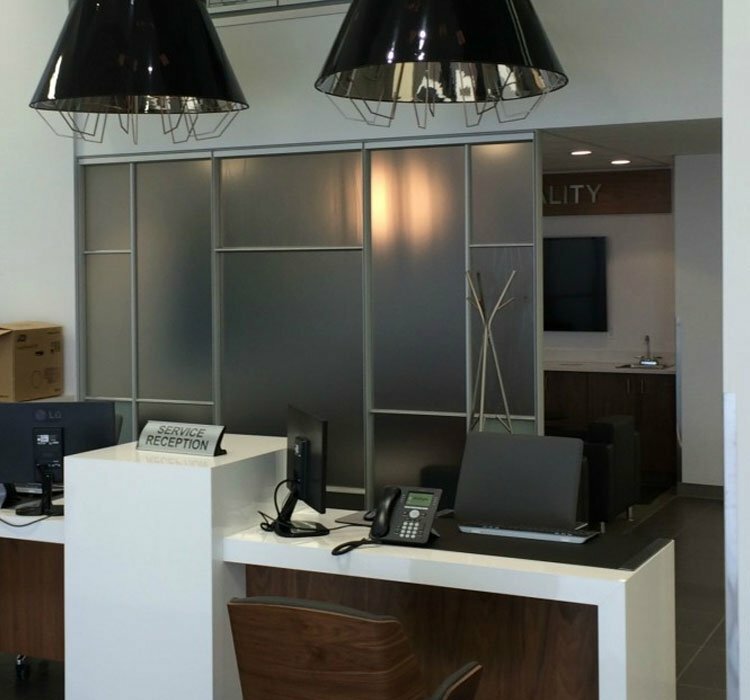 Verto360 partnered with Element IWS in Calgary to bring the space to life. 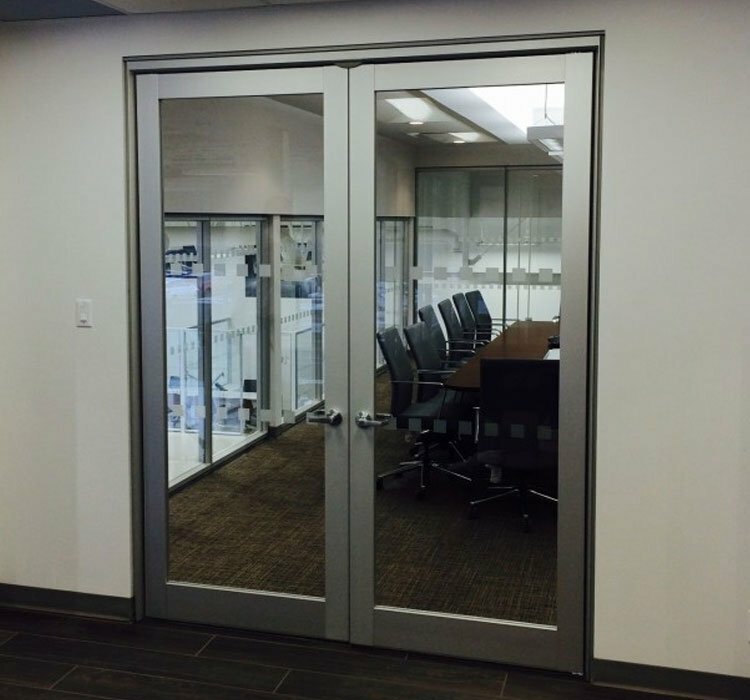 DIRTT monolithic glass walls define offices, sales enclaves and meeting areas within the dealership. 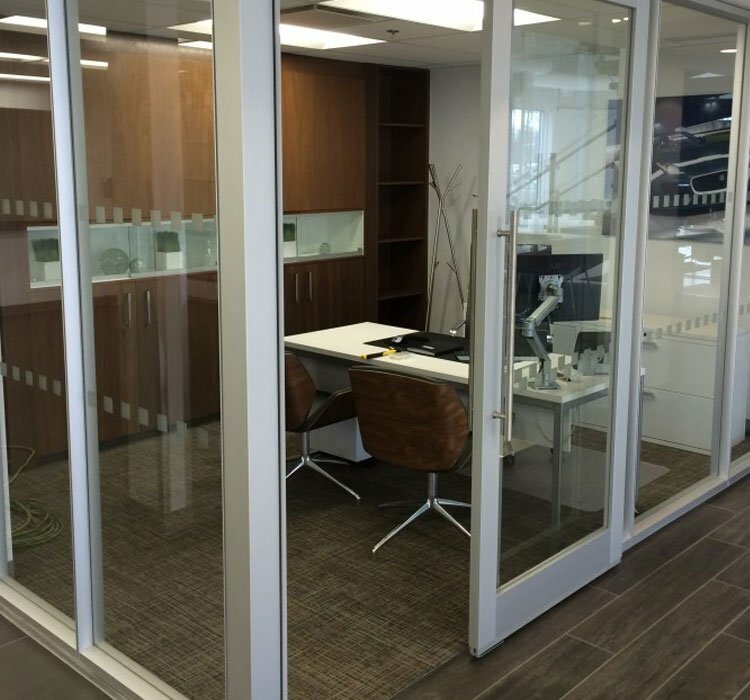 Staff are able to maintain visibility throughout the showroom, and the openness of the environment welcomes visitors into the space. A DIRTT Mondrian style wall with frosted glass adds a design punch to the refreshment area. DIRTT’s prefabricated solution was designed using ICE software, to generate true-to-life 3D images, a detailed bill of materials, manufacturing information for the factory and pricing. The client was able to see exactly what their space would look like prior to fabrication. 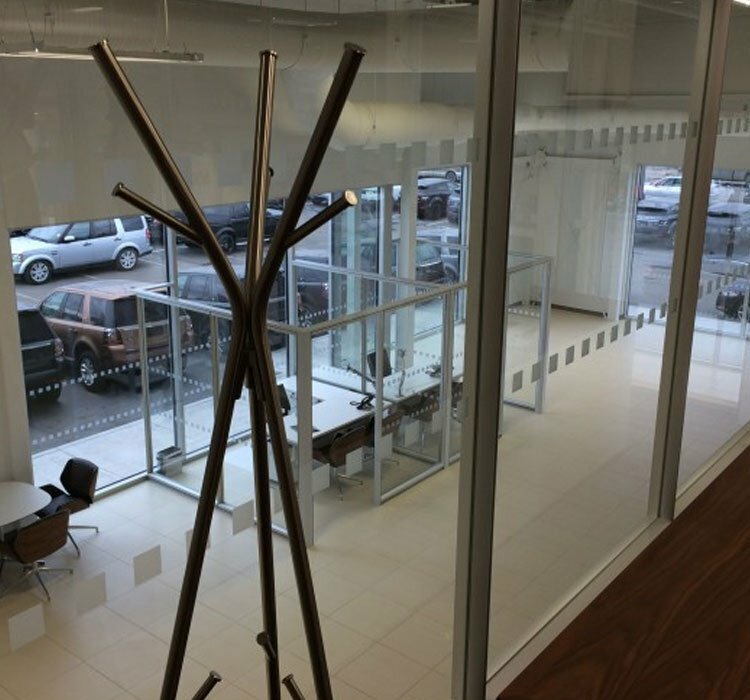 As the first dealership in the country to adopt the new standards, it was comforting to be able to visualize the space in advance. Furthermore, DIRTT’s ICEcycle software simplifies reconfiguration of the DIRTT partitions when and if the needs of the interior change. In an industry where change is a constant, DIRTT’s agile construction solution is a future-proof investment. DO YOU HAVE A SIMILAR SPACE? If you have a similar space you're planning, we can help you SEE IT, COST IT & TIME IT using the Verto Approach. Contact us today to discuss your plans.